Victoria and Abdul shows an interesting relationship between Ali Fazal and Judi Dench! The first trailer of Victoria and Abdul released on May 30, 2017 and throw light on the unlikely friendship between Queen Victoria and her Indian attendant, Abdul Karim, in the late 19th century. Based on real life events, this movie seeks to unveil the lesser known side of Queen Victoria’s life and her relationships with an ‘attending’. Legendary English actress Dame Judi Dench reprises her role as Queen Victoria, a character she played twenty years ago in 1997 film Mrs. Brown, for which she received her first Oscar nomination. 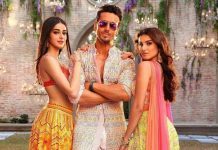 In the titular role of Abdul is being played Bollywood’s own Ali Fazal, who makes a strong impression starring opposite the Oscar-winning actress. During the Queen’s Golden Jubilee celebrations in 1887, Abdul Karim is brought to England and introduced to her as a young Indian orderly who who will serve at her court. He begins at first as a simple servant, waiting at the royal tables, and even surprises Her Majesty by preparing a lavish Indian feast. He soon catches her attention and becomes a firm favourite of the monarch, earning himself a promotion from servant to Munshi. He teaches her Urdu, the Quran and enlightens her about issues pertaining to India, of which she had adopted the title of Empress. He becomes her closest confidant, accompanying her on her travels, and a unique friendship develops which baffles the Queen’s family and court. They become envious of the close relationship Abdul enjoys with Her Majesty, and it leads to friction within the Royal Household. Abdul Karim served Queen Victoria for the last fifteen years of her 64-year reign, until her death in 1901. He gained her maternal affection during that time, and was bestowed with honours and a land grant near his native town of Agra. Her son and successor, King Edward VII, sent Abdul back to India following her demise and destroyed nearly all evidence of correspondence between the two. Karim then lived a quiet life on the estate that Victoria had given to him, until his death in 1909, at the age of 46. His family’s relocation from Agra to Karachi after Partition made it even more complicated to trace any remnants of their special bond. Author Shrabani Basu painstakingly researched the remaining threads of their communication, including the Queen’s Hindustani Journal and Karim’s long-hidden diary which surfaced after the initial publication of her book Victoria & Abdul: The True Story of the Queen’s Closest Confidant in 2010. Ali Fazal has received a positive response from the who’s who of Bollywood for his sparkling performance and the chemistry he shares with Judi Dench in the film’s trailer. Karan Johar, Boman Irani, Nimrat Kaur, Vir Das and Dia Mirza took to social media to express their good wishes for the young actor. While initially the trailer of Victoria and Abdul was suppose to be unveiled at Cannes Film festival 2017, makers backed out of the festival post Paris attacks. 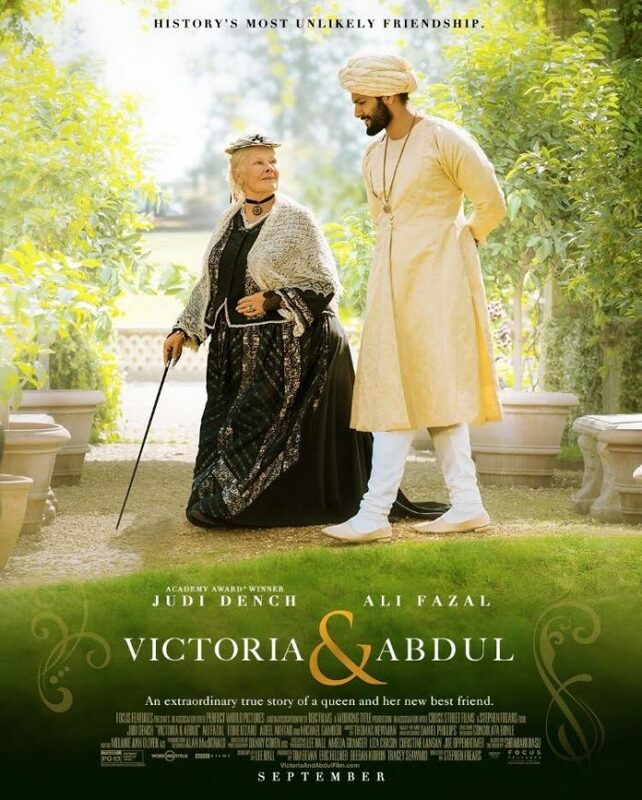 Directed by award-winning English filmmaker Stephen Frears (High Fidelity, The Queen, Philomena) and written by Lee Hall (Billy Elliot and War Horse), Victoria and Abdul releases in September 2017. Stay tuned for more updates on the film exclusively on Bollywood Garam! Previous articleKriti Sanon and Sushant Singh Rajput promote Raabta in Delhi - Photos! Next articleNetflix film, The Wishing Tree promotes ecological conservation with a hint of magic!